and truly taste the typical dishes of the Salento cuisine. 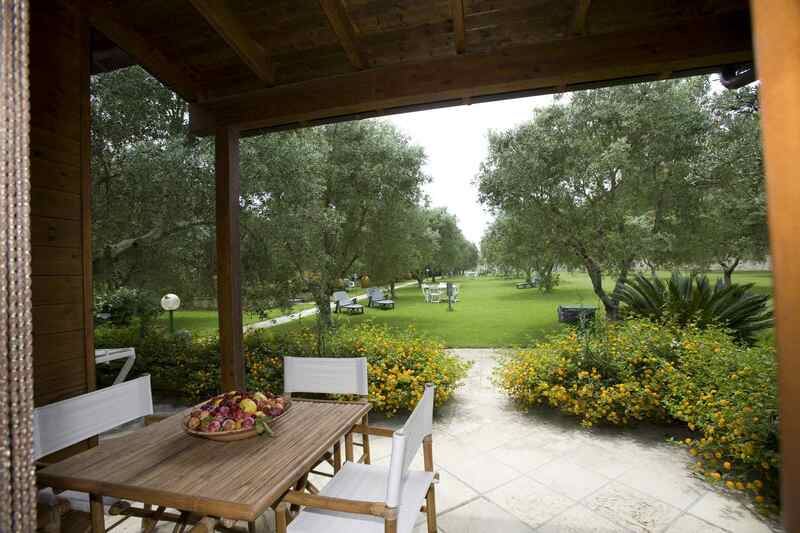 In the most fascinating countryside of Salento with the city of Otranto on its horizon and the distant sea view welcomes you to the Agriturismo Scalelle. Immersed in twenty hectares of green and Mediterranean maquis, surrounded by characteristic dry stone walls; it’s the ideal place for a holiday of relaxation and good cuisine. 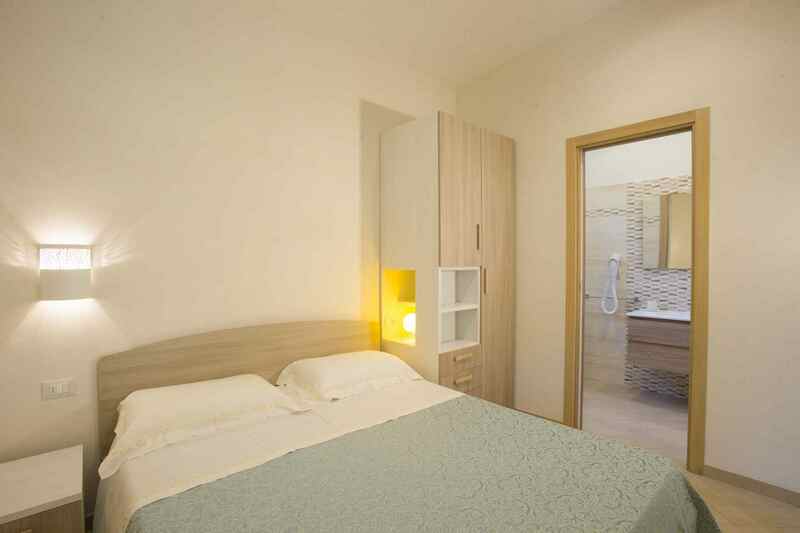 Open all year round, we are at the disposal of our guests with comfortable and cozy accommodation units that are completely independent including internal car parking, a playground, a football field, a mini-zoo and 2 dining halls. Our services combined with the cordiality and hospitality of our family will make your stay unforgettable. Let yourself be carried away and surprised by the flavors of our cuisine, taste the specialties of the region, prepared with passion and care and with ingredients from our organic farm in a romantic and charming atmosphere in the dining hall that opens out to the beautiful olive orchard. 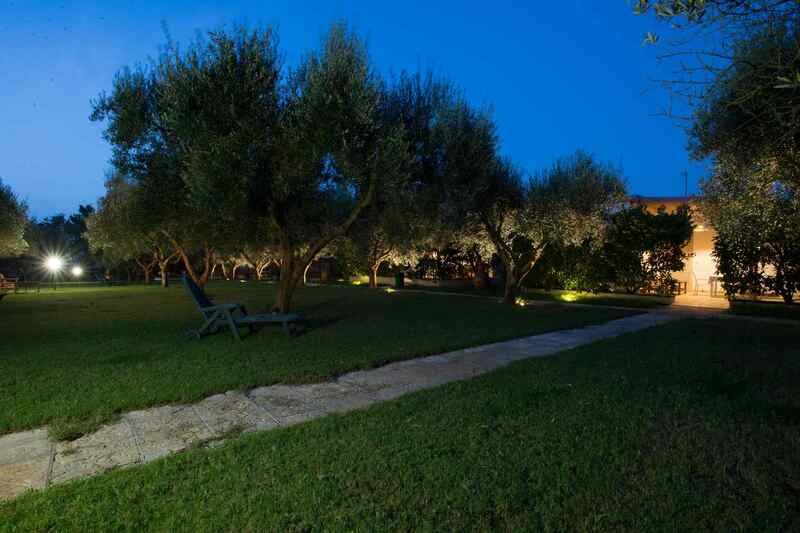 The Agriturismo Scalelle is located two minutes from Otranto, the eastern most city of Italy, bathed by the Adriatic Sea incredibly blue and characterized by a historic center among the most beautiful and suggestive of Puglia. Just a few minutes by car one may easily reach the most beautiful beaches of Salento: North Baia dei Turchi, the beaches of Alimini, Torre dell’Orso and Sant’ Andrea; to the south the splendid bay of Porto Badisco, Santa Cesarea Terme and Castro. The Agriturismo Scalelle is not only welcoming, hospitable and full of tradition and above all a true temple of good cuisine. Immersed in greenery and nature, in the 2 dining halls (internal and external) one may taste the true typical dishes of the Salento cuisine. Our appetizers are our pride and joy, endless amount of flavors and scents, true and authentic of our territory: rustic pizza, pittule (fried dough dumplings), potato croquettes, fresh cheese, olives, bruschetta, grilled vegetables, potato pizza, peperonata, and much more. 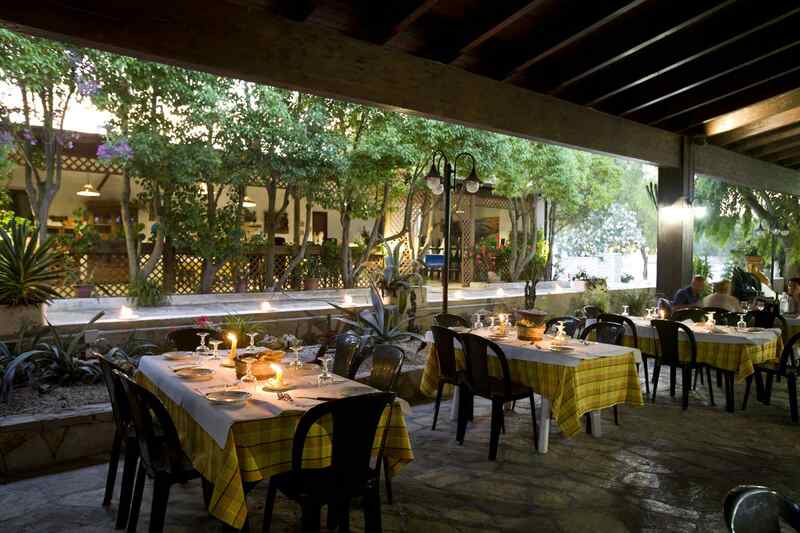 The “path” among the flavors of Salento continues with a wide choice of first and second courses: homemade pasta such as orecchiette and macaroni and sagne incannulate, beans and chicory, eggplant parmigiana, grilled meat, rabbit and chicken cacciatore are just some of our specialties. The menu is enriched with fresh fruit, desserts and… dulcis after dinner drinks, strictly homemade, such as the mandarin, myrtle, basil and limoncello! 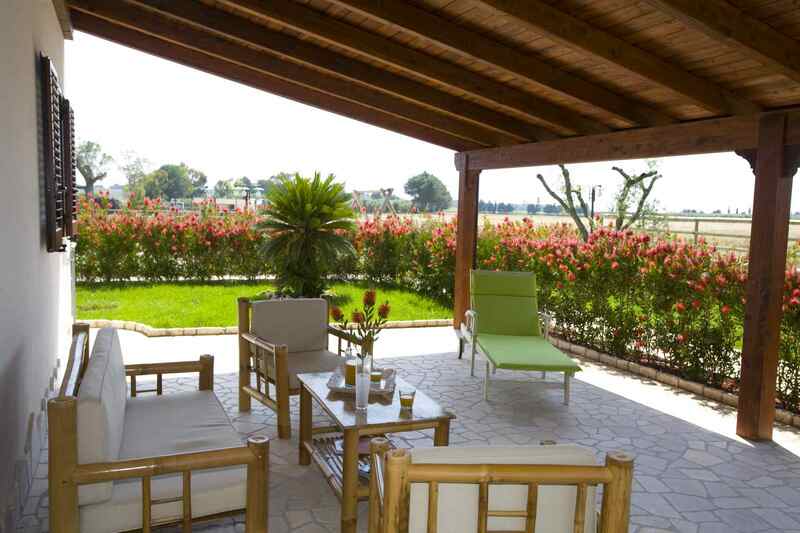 The Agriturismo Scalelle is a great point of reference and an ideal setting for important events such as christenings, communions, anniversaries and ceremonies of any kind. Also we provide an ad hoc menu for organized groups and schools, while visiting Otranto and the surrounding areas. Prices vary from 15 to 18 euro. Fully equipped kitchen for celiac and vegetarian diets. Reservations are welcomed. One of the fortunes of the Agriturismo Scalelle is represented by the agricultural and livestock activities which are cured in first person by the owner and chef of the farmhouse Giuseppe Merico, guardian of the old peasant traditions. Because for us “a real farm must be backed up by an important agricultural company and livestock”. As proof, the vast land surrounding the Agriturismo Scalelle is destined to the cultivation of BIO food products, rich organoleptic properties which arrive at zero km on the tables of our guests. Wheat, Barley, Oats and various vegetables are only some of our renowned crops, in which we have received for over 15 years the prestigious recognition of the BIOAGRICERT intended exclusively to the best Organic Farms. Our extra virgin olive oil also plays an important role, strictly obtained by cold pressing and hand harvesting the olives, in such a way, always obtaining an oil of the highest quality. There are currently more than 1500 olive trees present in the agriturismo divided between various cultivars: Ogliarola, Leccino and Cellina Nardò. 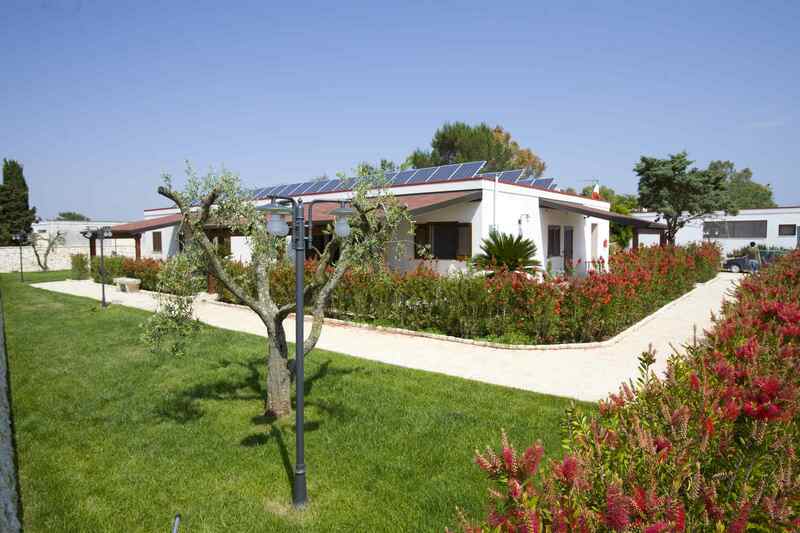 For our little guests, in one of the many green areas present in the agriturismo a wide and super-equipped playground where your children can have fun and play in company. Swings, slides, playhouses and playground equipment of every kind will make your children’s hearts beat. Available 24 h also a football field, entirely fenced with the latest generation of synthetic grass. The real attraction of the Agriturismo Scalelle is without a doubt represented by the fantastic mini zoo: a “sensational path” for our guests who can spend hours and hours watching and caressing cows, lamas, ostriches, Tibetan goats and many other courtyard animals: rabbits, ducks, hens, geese and peacocks. The King of the farm, however, is ARTURO a pleasant and tender donkey with its soft dark brown mantle who loves to spend his days in the sun and be fed hay by the young guests of the agriturismo. His favorite guests are the school children. Always teaching them the many secrets of the world of agriculture, breeding and a healthy diet. The Agriturismo Scalelle offers its guests and preschool, primary and secondary school classes the opportunity to get to know the world of agriculture, by participating in first person to the many activities of the farm. Seeing, touching, and participating are all stimuli for kids, there is no comparison for such an extraordinary learning experience. The proposed program is a true educational path, adaptable to all age groups, structured and cared for with the aim of bringing the kids to nature and to the traditions and culture of the agricultural world. There are many didactic units: beginning with a healthy and hearty breakfast with freshly milked milk and biscuits cooked in our wood oven. Afterwards a company presentation, educational activities, laboratories and paths. Schools and preschools, on request, can combine the educational path with a lunch.